What do you know about Jackfruit? I didn’t know much about it until I had the wonderful jackfruit tacos from Seabirds food truck. Since then I’ve been obsessing about making them myself. 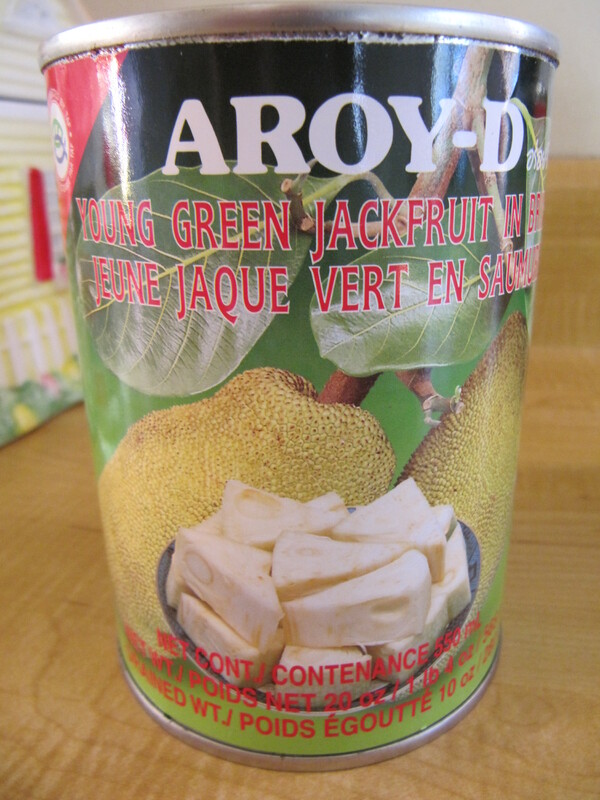 Step one in the process is finding canned jackfruit…if you have a Thai Market near you they probably carry it. That’s where I found mine – – 2 cans cost less than $3 which is much better than the on-line price I found. This is the type I used, make sure whatever brand you buy it’s the young (green) jackfruit packed in brine, not the sweet kind. 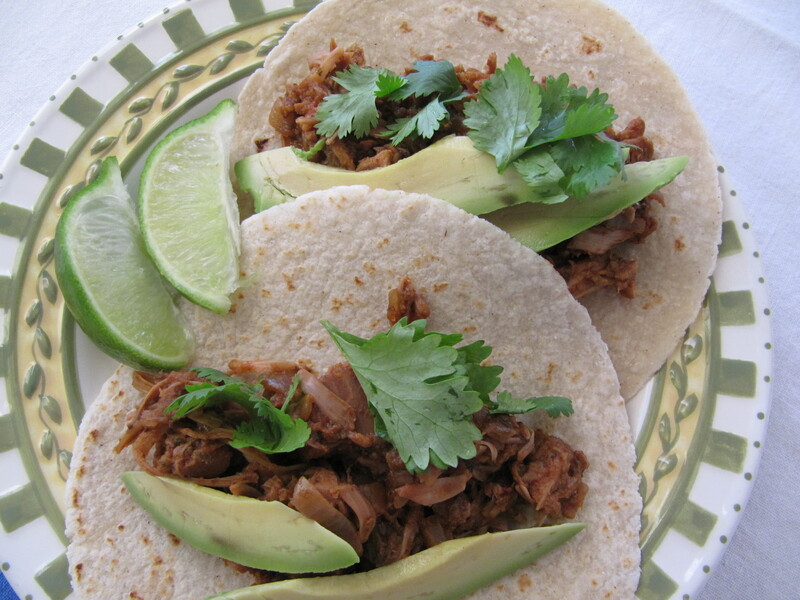 I followed this recipe exactly and they were quite tasty served with a squeeze of lime, avocado and cilantro. I think next time I would cut back on the chili powder a little. Now I have a boatload of taco filling that I have to figure out what to do with, I’m thinking a jackfruit taco salad??? While I was at my old kitty Jones’ oncologist appointment today (shhh, he had the cancer…no, no, he’s just fine now) I saw a flier for a fundraiser being held at the Veggie Gril in my neighborhood. Funny thing is that the Vetrinary Cancer Center is about 25 miles from my house. So I took that as my sign to go to the Veggie Grill and support Long Beach Animal Care Services. ACS is trying to raise money for a cooling system to make the animals more comfortable during our hot summer days. 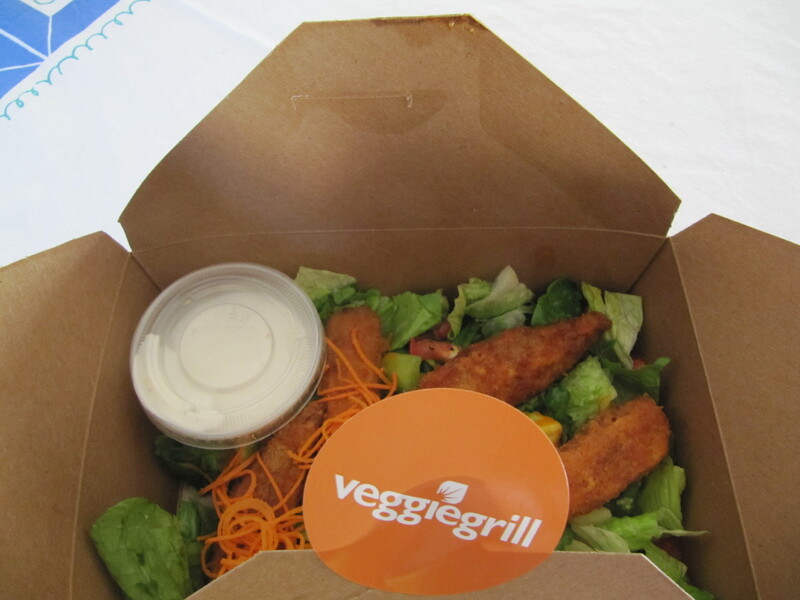 Veggie Grill is donating 50% of sales when anyone brings in a flier or mentions the fundraiser. So not only do you get good eats you get to support the animals. This offer runs until 10:00 pm so get moving, turn off the news, run…run I said! So what do you do when it starts raining at 3:45 am and you can’t sleep and you have a new waffle iron just sitting cold and lonely in your cupboard? Do you listen to that irritating voice in your head that keeps saying things like.. 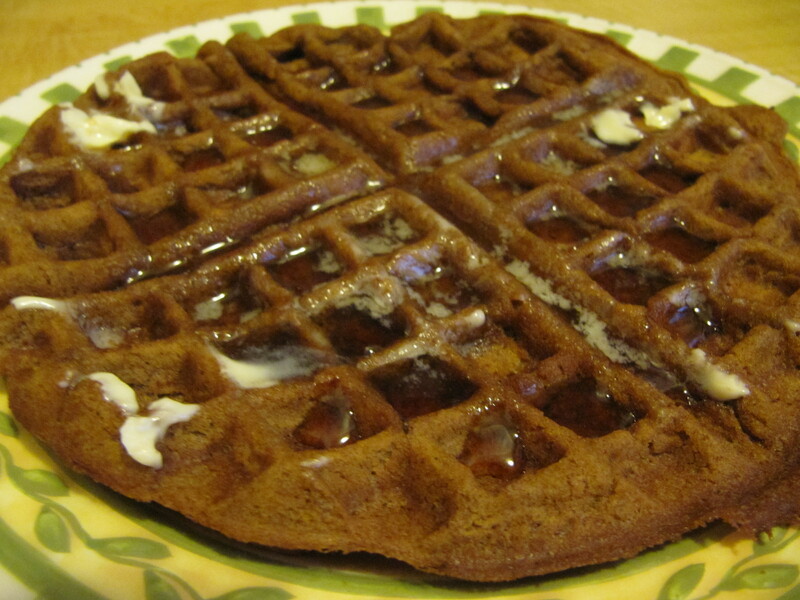 I listened and at 4:00am I found myself in the kitchen mixing up a batch of gingerbread waffles from Vegan Brunch. I didn’t have any fresh ginger so I subbed in a teaspoon of dried. My house smelled like Christmas…Too soon, you think? Whatevs, if only I could have crawled back into bed after that, but no, work called. 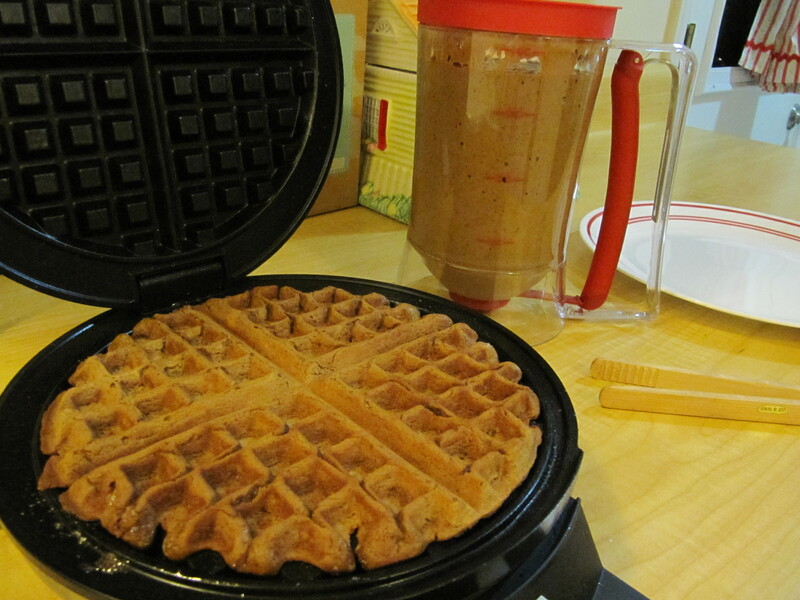 Got to use my new waffle iron and my cool dispenser that had yet to be tried out. Worked like a charm. Plus I have 4 waffles in the freezer all ready for the next morning it starts raining at 3:45am and I crave waffles. I think the Vegan month of food is the time to give kudos to those Vegans who are out promoting not only a cruelty free lifestyle but also a healthy one. Those many people whom we only have contact with and who are able to spread their healthy word because of the Internet. One of those who has influenced me is Lindsay Nixon of Happy Herbivore fame. Face it, there are a lot of not so healthy vegan choices out there, I’m talking oreos, fritos, and what about a can of Duncan Hines Classic Chocolate Frosting, no animal products there my friends. But good for you, I think not. 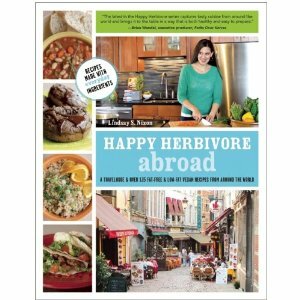 Enter the Happy Herbivore – – Lindsay promotes a low-fat vegan diet and if you don’t already own one of her two cookbooks you can get her third, Happy Herbivore Abroad, in December. Put it on your Christmas list (is anyone listening?) 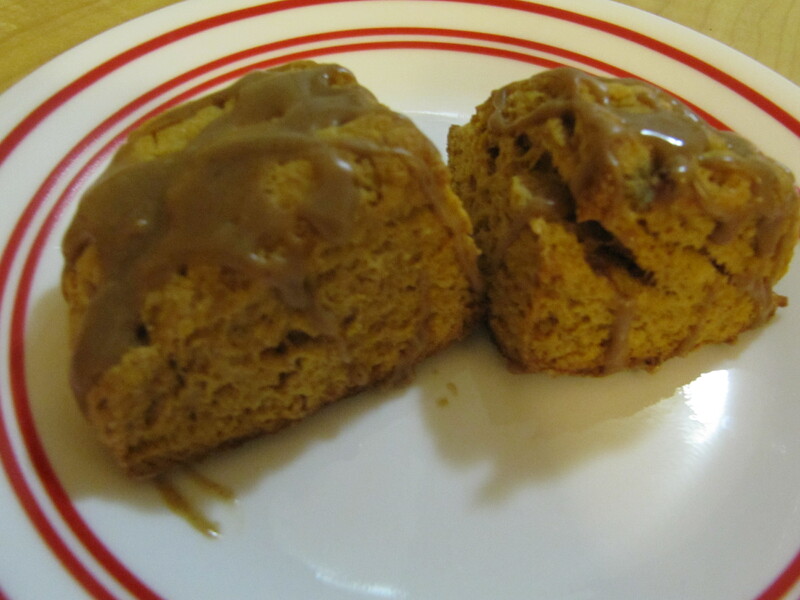 Not only does Lindsay host her wildly popular blog she provides weekly menus for those of us who may want to lose a couple of pounds. The thing I like about these meal plans is that they come with a shopping list and you can buy the individual plan if you’re just cooking for yourself or you can buy the family plan if you have a few more at your house. There’s no obligation, so you can buy 1 week every month or 1 plan every week. When you’re cooking for 1 it’s sometimes hard to portion control when you make a casserole sized for 6 people, before you know it you’ve eaten half of it and are still pretending that what’s left is servings for 3 (three puppies maybe, right?) With Lindsay’s plan there is no leftovers and the bonus is you get to eat the whole thing yourself. For those of us who have issues with sharing this is what’s it all about! Ever made cheese? Nope, me either until I got Veg News last month with Miyoko Schinner’s Artisan Vegan Cheese spread (ha, pun intended). 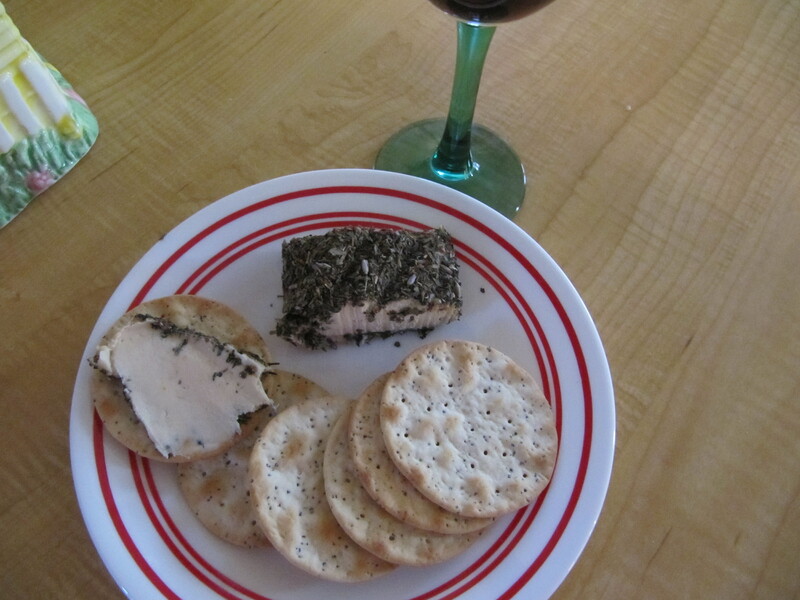 I went with the Aged Chèvre with Herbes de Provence. And people this is not something you whip up at the last minute. This took me a week to make and I even had to hire a babysitter for it when we went out of town for the weekend. It didn’t help that it’s supposed to age in a cool room and my coolest room was over 90 degrees. So I had to put it in an ice chest with a cool pack that had to be changed twice a day. My second batch I tried the sharp cheddar and it turned into more of a bleu cheese during the aging process – – a little mold anyone. So out that went in the trash. Nothing like throwing a bag of raw cashews down the chute. I’m ready for my next batch…anyone else up for the challenge? Are you a clean as you go cook? I’m not…and I could never understand the smug looks that come over some people when they claim that little piece of infamy as their own. My internal response is, “So?”; my polite, do not hurt feelings, or crush someone’s feelings of accomplishment voice says, “Oh, that’s nice, I’m not”. 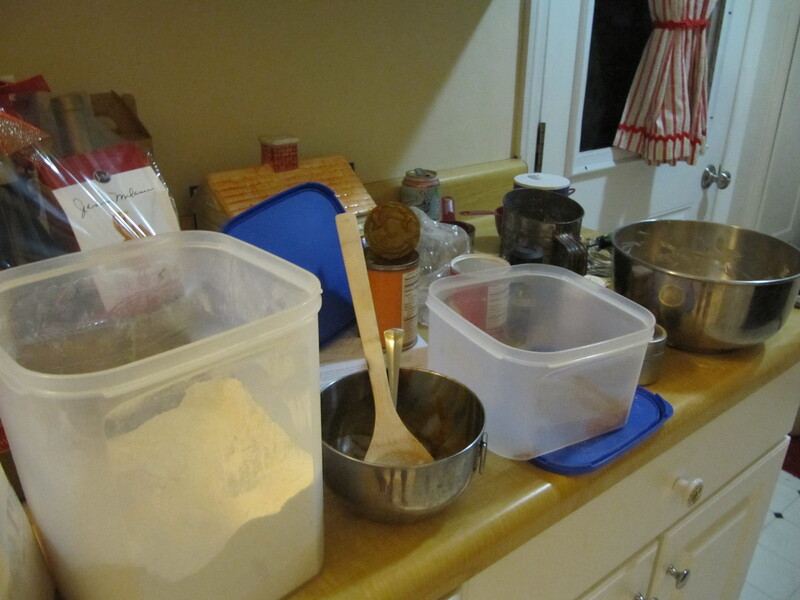 So what is it about cleaning up as you go that makes this method so much better than my flour covered kitchen, sink filled with dirty dishes, and boxes, jars, canisters, cans of ingredients all over the place method? What in the world do you do while your sweeties bake? Cure cancer, that would be a good thing; walk the dog, what if the house burns down because you forget those sweeties in the oven and stop to have a glass of wine or two with the neighbor who’s out watering his lawn when you walk by with said pooch? What about that?? With my method, you act like you’re on Cupcake Wars or Chopped shouting things out as you toss them in the oven; a veritable whirling dervish of flour and sugar. Then you pop whatever it is you’re making in the oven and while the judges deliberate the genius of your creation you clean up. There you go, a clean kitchen and your house is still standing and you won’t have a hangover from your neighbors cheap boxed wine. I know, I know…we still need the cure for cancer, maybe next week. 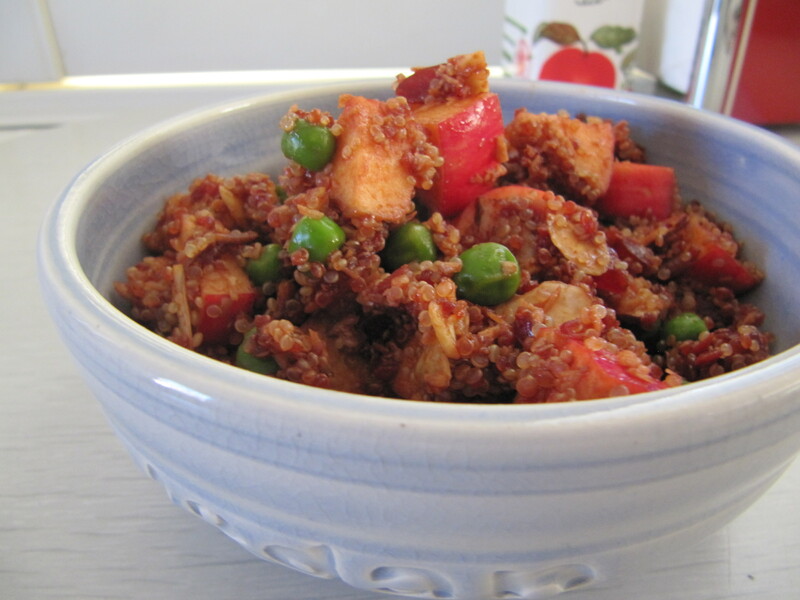 Searching for an in a snap dish to make that’s not only delicious but it’s good for you too? Look no further, this is it. I really felt like Fall was coming to Southern California and then what goes and happens???? 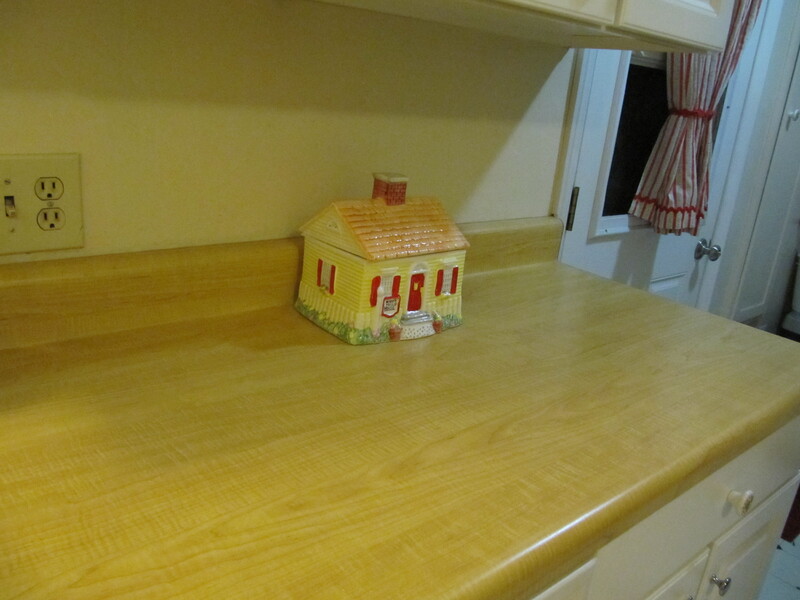 Another heat wave, how can I cook when my sweat box of a house is in the 90’s. Brownies on the barbie maybe, hmm that might work. Anyway, this is a one pot meal that didn’t heat up the house too much and tasted good, I ate it over salad greens for lunch today too. Saute the onion in the oil in a saucepan for a few minutes, until it’s translucent. Stir in the ginger, quinoa, and juice and season with salt and pepper. Bring to a boil, reduce heat, cover and simmer for 20 minutes or so until the juice is absorbed. Toast the almonds over low heat until they’re lightly browned. Remove the pan from the heat and stir in the peas, apple, coconut and almonds. Cover and let st to let the peas thaw and cool down the salad. Put it in your favorite Vegan Dish and enjoy with a glass of red wine, in the backyard, where it’s a little cooler than the sweat box.